kumail on twitterbeta male sneak peekget "beta male"
kumail nanjiani is the most all-american guy ever. went to college in iowa. loves video games. tweets incessantly. married a nice redheaded southern girl. can’t get his printer to work. but kumail was born and raised in pakistan. he didn’t come to the united states until he was 18 years old. 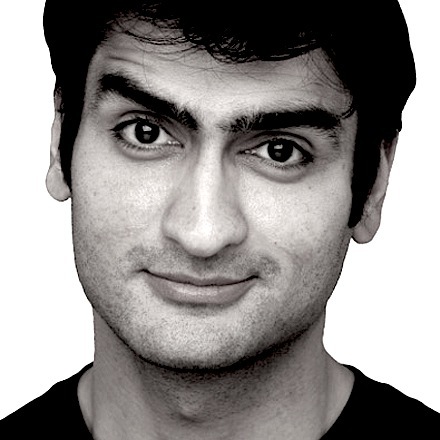 kumail was raised in a muslim country where perspectives on world affairs and american culture were almost a complete inverse of our own, where western villains were domestic heroes, nuclear war with india loomed large, and where he never touched or interacted with a woman who wasn’t a blood relative until he was an adult. at the same time, he spent his childhood bingeing on mad magazine and baywatch episodes, dreaming of america, a place where women all sprinted from place to place in slow motion, their hair swaying in the breeze, their lovely bits jiggling. and then kumail moved to the american midwest and discovered the united states was not all jiggly blondes in red bathing suits. despite the initial disappointment, kumail had found his home, eventually becoming a comedian whose take on american culture is somehow both singularly unique and familiarly homegrown.